I am astonished these days, how many websites don’t include some basic elements that I think are the backbone of all websites. So I thought I’d list them here as I always make sure these are included in my new website designs. Contact details need to be easily found. So many websites make you hunt around for phone numbers and/or email addresses and its really important to make these easily accessible. The most obvious location is in the header area which sits at the top of all pages and can also be duplicated in the footer. Hiding a phone number can create suspicion by the visitor – doesn’t the business want to be contacted? Up to date & accurate information. 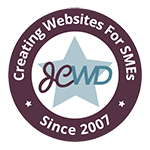 It is hugely advantageous to keep updating content on a website as Google prioritises websites that are regularly edited. But if you can’t afford the time to create regular blog posts, at least make sure that all information displayed is current and correct. Check for spelling mistakes and that contact information and staff details are correct. And don’t have an empty blog with a post of a few years ago – better not to have one at all! And make sure any links to social media sites work as well. A lot of websites don’t have these at all. A ‘call to action’ is to get visitors to take the next step so make it short and sweet eg – ‘contact us today’ or ‘get in touch for a quote’. These are often best located at the end of a page or in a sidebar. This is critical in today’s market to keep up with competitors and a lot of websites are not mobile-friendly and at a disadvantage because of this. Google is prioritising mobile-friendly websites and you risk losing visitors if they stuggle to navigate your website if its not mobile friendly. This is where a professional designer comes into play compared to a template based website or having a go yourself. You need to ensure there is consistency throughout the website including fonts, colours, page layouts and structure. Just because you have lots of elements or styles at your fingertips, does not mean you should use them all! Less is more and the website should be approached as a whole entity and not just on a page per page basis. This will give you a great cohesive end result.